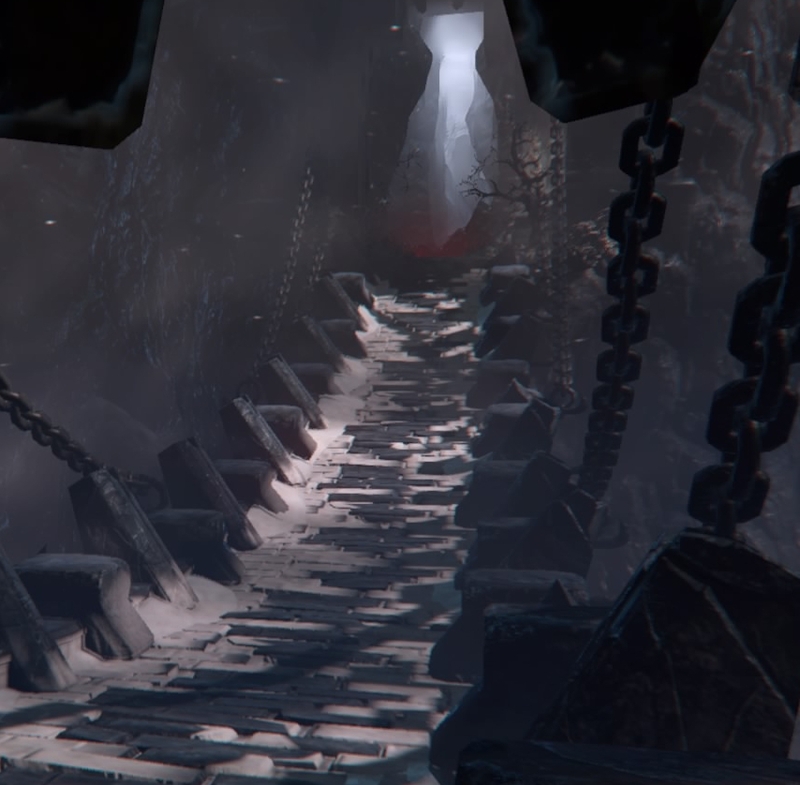 Bridge Between Dimensions is a location in Lords of the Fallen. The sub-area of the Abandoned Temple, you'll find very little in the way of enemies you're first time here. Instead you'll have your first encounter with The Crafter. Upon first entering the portal to the Abandoned Temple, you'll reach the Bridge between Dimensions. Travel down the bridge until you're faced with the Crafter, after entering a conversation with him you can head further towards a large archway that on the left has a checkpoint. After saving it is your new checkpoint, you can head to the sides of the bridge to enter either the Eastern Antechamber or the Western Antechamber. Upon your second visit to the Abandoned Temple, you will encounter a Rhogar Infestor guarding the anvil that the Crafter can appear at.